His speech, part of the Kerschner Family Series Global Leaders at Colgate, will highlight a weekend-long celebration of Colgate leadership at 200 Years. Ticket information will be posted at 200.colgate.edu as it becomes available. A graduate of Santa Clara University School of Law, Panetta was elected to the U.S. House of Representatives in 1976. The author of numerous pieces of legislation — including the Hunger Prevention Act of 1988, Medicare and Medicaid coverage for hospice care, and measures to protect the California coast — he chaired the House Budget Committee from 1989 to 1993. After serving in Congress for 16 years, Panetta joined the Clinton administration as director of the Office of Management and Budget before serving as the president’s chief of staff from 1994 to 1997. Following his tenure in the Clinton administration, Panetta and his wife, Sylvia, established the Panetta Institute for Public Policy, a nonpartisan, not-for-profit study center that seeks to attract thoughtful men and women to lives of public service and prepare them for the policy challenges of the future. Called back to public office by President Barack Obama, Panetta led the CIA from 2009 until 2011 and served as secretary of defense from 2011 until 2013. 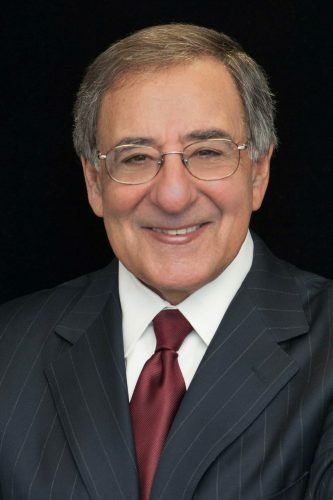 Panetta has served on numerous boards and commissions. He co-chaired California Forward, the Joint Ocean Commission Initiative, and Governor Arnold Schwarzenegger’s California Council on Base Support and Retention. In 2006, he served on the Iraq Study Group, a bipartisan national commission seeking a new course for the war in Iraq. In 2016, Panetta launched the CSIS Commission on Countering Violent Extremism, which he co-chairs with former Prime Minister Tony Blair.